Heavenly Father I Appreciate You! 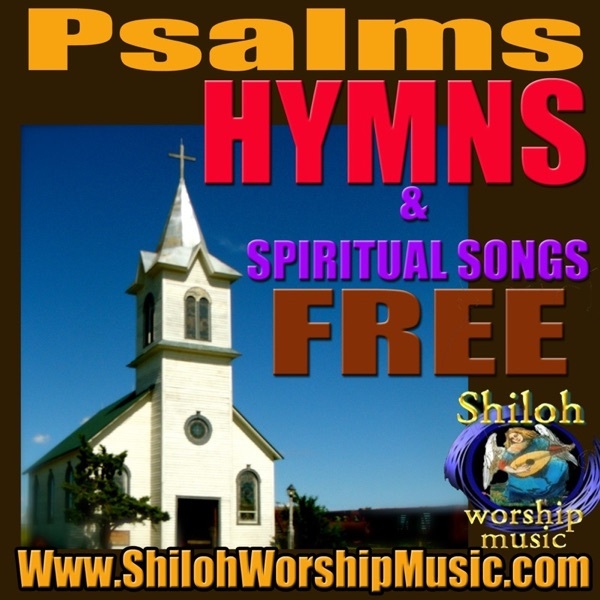 <a href="http://www.shilohworshipmusic.com/ShilohWorshipMusic/Media/By%20the%20Waters%20of%20Babylon.mp3"><img src="http://www.shilohworshipmusic.com/ShilohWorshipMusic/Hymns_Free/Media/PsalmshymnsSpiritualSongsLOGO.jpg" style="float:left; padding-right:10px; padding-bottom:10px; width:157px; height:157px;"/></a>Psalm 137 is one of the best known of the <a href="https://en.wikipedia.org/wiki/Book_of_Psalms">Biblical psalms</a>. Its opening lines, &quot;By the rivers of Babylon...&quot; (<a href="https://en.wikipedia.org/wiki/Septuagint">Septuagint</a>: &quot;By the waters of Babylon...&quot;) have been set to music on several occasions.<br/><br/>Our Version of this Traditional Folk Song<br/><br/>By the waters, the waters of Babylon, <br/>We sat down and wept, and wept for Zion.<br/>We remember you, we remember you, we remember you, Zion.<br/><br/>© 2015 Shiloh Worship Music COPY FREELY;This Music is copyrighted to prevent misuse, however,permission is granted for non-commercial copying-Radio play permitted. www.ShilohWorshipMusic.com<br/><br/>The psalm is a hymn expressing the yearnings of the <a href="https://en.wikipedia.org/wiki/Babylonian_captivity">Jewish people in exile following the Babylonian conquest</a> of <a href="https://en.wikipedia.org/wiki/Jerusalem">Jerusalem</a> in 607 BC.In its whole form, the psalm reflects the yearning for Jerusalem. Rabbinical sources attributed the poem to the prophet <a href="https://en.wikipedia.org/wiki/Jeremiah">Jeremiah</a>, and the Septuagint version of the psalm bears the <a href="https://en.wikipedia.org/wiki/Superscription">superscription</a>: &quot;For David. By Jeremias, in the Captivity.&quot; -Wikipedia<br/><br/>Psalm 137 King James Version (KJV)<br/>137 By the rivers of Babylon, there we sat down, yea, we wept, when we remembered Zion.<br/>2 We hanged our harps upon the willows in the midst thereof.<br/>3 For there they that carried us away captive required of us a song; and they that wasted us required of us mirth, saying, Sing us one of the songs of Zion.<br/>4 How shall we sing the Lord's song in a strange land?<br/>5 If I forget thee, O Jerusalem, let my right hand forget her cunning.<br/>6 If I do not remember thee, let my tongue cleave to the roof of my mouth; if I prefer not Jerusalem above my chief joy. <a href="http://www.shilohworshipmusic.com/ShilohWorshipMusic/Media/God%20Is%20So%20Good.mp3"><img src="http://www.shilohworshipmusic.com/ShilohWorshipMusic/Hymns_Free/Media/PsalmshymnsSpiritualSongsLOGO.jpg" style="float:left; padding-right:10px; padding-bottom:10px; width:157px; height:157px;"/></a>Traditional Gospel Song in French,Chinese,English, Spanish, and Swahili<br/>God Is so Good 3X<br/>God Is so Good To Me<br/><br/>SPANISH<br/>Dios Bueno Es ( x3 ), Bueno es el Señor<br/><br/>FRENCH<br/>Mon Dieu est si bon ( x3 ), Il est bon pour moi<br/><br/>SWAHILI<br/>Yesu Ni Bwana ( x3 )<br/>Nakopenda Yesu<br/><br/>Jesus Is The Lord( x3 )<br/>Jesus Is The Lord Over All The Earth<br/><br/>FRENCH<br/>Jésus est le Seigneur ( x3 0<br/>Mon Seigneur Jésus <br/><br/>Je te aime mon Seigneur ( x3 )<br/>Mon Seigneur Jésus<br/><br/>Adorez le Seigneur,( x3 )<br/>le Seigneur Jésus<br/><br/>CHINESE<br/>我爱你，耶稣<br/>我爱你，耶稣<br/>我爱你，耶稣<br/>耶稣，我爱你<br/><br/>Wǒ ài nǐ, yēsū<br/>wǒ ài nǐ, yēsū<br/>wǒ ài nǐ, yēsū<br/>yēsū, wǒ ài nǐ<br/><br/><br/>© 2014 Shiloh Worship Music COPY FREELY;This Music is copyrighted to prevent misuse, however,permission is granted for non-commercial copying-Radio play permitted. <a href="http://www.shilohworshipmusic.com/ShilohWorshipMusic/Media/In%20the%20Name%20of%20Jesus%20%E9%9D%A0%E7%9D%80%E8%80%B6%E7%A8%A3%E5%9C%A3%E5%90%8D%C2%A0%28Chinese%20Version%29.mp3"><img src="http://www.shilohworshipmusic.com/ShilohWorshipMusic/Hymns_Free/Media/PsalmshymnsSpiritualSongsLOGO.jpg" style="float:left; padding-right:10px; padding-bottom:10px; width:157px; height:157px;"/></a>Our version of the Gospel Song &quot;In the Name of Jesus&quot;<br/>(Chinese Version)<br/><br/>靠着耶稣圣名 in the name of Jesus<br/>靠着耶稣圣名 in the name of Jesus<br/>我们必能得胜 we have the victory<br/><br/>靠着耶稣圣名 in the name of Jesus<br/>靠着耶稣圣名 in the name of Jesus<br/>我们必能得胜 demons have to flee<br/><br/>谁能诉尽神的作为 when we're going in the name of Jesus<br/>谁能诉尽祂的爱 tell me who can stand before us<br/>靠着耶稣宝贵圣名 in the name of Jesus, Jesus<br/>我们必能得胜 we have the victory<br/><br/><br/>© 2013 Shiloh Worship Music COPY FREELY;This Music is copyrighted to prevent misuse, however,permission is granted for non-commercial copying-Radio play permitted- Free Christian Worship Music on the iTunes Store<br/><br/>Please check out our free Christian Worship Music on the iTunes Store. We offer 7 free Podcasts that contain our original worship music. Below are the links- if you like them you can subscribe FREE and receive new songs in the form of podcasts as they are released. <a href="http://www.shilohworshipmusic.com/ShilohWorshipMusic/Media/Be%20Thou%20My%20Vision%20.mp3"><img src="http://www.shilohworshipmusic.com/ShilohWorshipMusic/Hymns_Free/Media/PsalmshymnsSpiritualSongsLOGO.jpg" style="float:left; padding-right:10px; padding-bottom:10px; width:157px; height:157px;"/></a>BE THOU MY VISION<br/>Our version of the well loved Classic Irish Hymn<br/><br/>Traditional Irish Melody- Lyrics Below<br/>With a Celtic Bodhrán, Irish Bouzouki, Mandolin, 3 Celtic Guitars<br/>Blessings,<br/><br/>shiloh worship music<br/><a href="http://www.shilohworshipmusic.com/">www.shilohworshipmusic.com</a><br/><br/><br/>The Celtic Bodhrán is a traditional Celtic drum played with a wooden mallet that is commonly used in Irish music--especially traditional Celtic songs. It's distinct, tuned-percussive sound has been a favorite choice for Irish composers and performers alike.<br/><br/>Although not traditional, the Irish Bouzouki has found a home in the modern Irish traditional music scene. The Greek bouzouki was introduced to Irish traditional music in the late 1960s by Johnny Moynihan and then popularized by Donal Lunny, Andy Irvine, and Alec Finn. Today's Irish bouzouki (usually) has four courses of two strings (usually) tuned G2D3A3D4. The bass courses are most often tuned in unisons, one feature that distinguishes the Irish bouzouki from its Greek antecedent, although octaves in the bass are favored by some players.<br/><br/><br/>BE THOU MY VISION<br/><br/>E B7 E <br/>Be Thou my vision, O Lord of my heart;<br/>B7 A B7 <br/>Naught be all else to me, save that Thou art.<br/>A B A B<br/>Thou my best thought, by day or by night;<br/>C#m G#m A B7 E<br/>Walking or sleeping, Thy presence my light.<br/><br/><br/>Be Thou my Wisdom, and Thou my true Word.<br/>I ever with Thee and Thou with me, Lord.<br/>Thou my great Father, and I Thy true son;<br/>Thou in me dwelling, and I with Thee one.<br/><br/><br/>Riches I heed not, nor mans empty praise;<br/>Thou mine inheretance, now and always.<br/>Thou and Thou only, first in my heart,<br/>High King of heaven, my treasure Thou art.<br/><br/><br/>High King of heaven, my victory won;<br/>May I reach heavens joys, O bright heavens Sun!<br/>Heart of my own heart, whatever befall,<br/>Still be my Vision, O Ruler of all.<br/><br/>© 2013 Shiloh Worship Music COPY FREELY;This Music is copyrighted to prevent misuse, however,permission is granted for non-commercial copying-Radio play permitted- Free Christian Worship Music on the iTunes Store<br/>Please check out our free Christian Worship Music on the iTunes Store. We offer 7 free Podcasts that contain our original worship music. Below are the links- if you like them you can subscribe FREE and receive new songs in the form of podcasts as they are released.<br/><br/>Free Bluegrass Gospel Hymns and Songs<br/>from Shiloh Worship Music. Old Standard Hymns and Songs as well as Original Bluegrass Gospel Songs.<br/><br/><a href="http://itunes.apple.com/us/podcast/what-a-friend-we-have-in-jesus/id471784726?i=100849735">http://itunes.apple.com/us/podcast/what-a-friend-we-have-in-jesus/id471784726?i=100849735</a><br/><br/>FREE PRAISE &amp; WORSHIP FREE <br/>Original Praise and Worship Music Our style is very eclectic ranging from Blues to Folk to Reggae to Worldbeat to Bluegrass to Rock-n-Roll. Most songs Are in English, some songs are in English and Spanish, and a few songs have been translated into other languages like Swahili, French, Chinese, and Korean. Etc. We Love Jesus, we are simple christian disciples of Jesus using our gifts to lavish our love and lives for Him. Our desire is to point others to Jesus. Our music is simple-most of these original songs are prayers to Jesus set to music. Although our music is copyrighted ©2000-2010 Shiloh Worship Music, to prevent misuse, feel free to pass this music around for any and all non-commercial use. Jesus said, “freely you have received, freely give!”<br/><br/><a href="http://itunes.apple.com/us/podcast/free-praise-and-worship/id436298678">http://itunes.apple.com/us/podcast/free-praise-and-worship/id436298678</a><br/><br/>FREE WORSHIP MUSIC<br/>Original Worship music SUBSCRIBE in iTunes We Love Jesus, we are simple christian disciples of Jesus using our gifts to lavish our love and lives for Him. To point others to Jesus. our music is simple-most of these original songs are prayers to Jesus set to music. Although our music is copyrighted ©2000-2013 Shiloh Worship Music, to prevent misuse, feel free to pass this music around for any and all non-commercial use. Jesus said, “freely you have received, freely give!”<br/><a href="http://itunes.apple.com/us/podcast/free-jesus-music/id395892905">http://itunes.apple.com/us/podcast/free-jesus-music/id395892905</a><br/><br/><br/>祈る日本 Christian songs 津波 Jesus ccm worship praise 敬拜赞美 耶稣基督 Иисус Христос поклонения похвалы музыки Christus Lob Musik यीशु मसीह की पूजा प्रशंसा क्रिश्चियन संगीत musique chrétienne<br/><br/>COPY FREELY ©2013 Shiloh Worship Music-This Music is copyrighted to prevent misuse, however,permission is granted for non-commercial copying only. <br/><a href="http://www.shilohworshipmusic.com/">www.shilohworshipmusic.com</a>www.shilohworshipmusic.com<br/><br/><br/><br/> 150:1 ¶ Praise ye the LORD. Praise God in his sanctuary: praise him in the firmament of his power.<br/> 2 Praise him for his mighty acts: praise him according to his excellent greatness.<br/> 3 Praise him with the sound of the trumpet: praise him with the psaltery and harp.<br/> 4 Praise him with the timbrel and dance: praise him with stringed instruments and organs.<br/> 5 Praise him upon the loud cymbals: praise him upon the high sounding cymbals.<br/> 6 Let every thing that hath breath praise the LORD. Praise ye the LORD. <a href="http://www.shilohworshipmusic.com/ShilohWorshipMusic/Media/Praise%20To%20The%20Lord,%20The%20Almighty%21.mp3"><img src="http://www.shilohworshipmusic.com/ShilohWorshipMusic/Hymns_Free/Media/PsalmshymnsSpiritualSongsLOGO.jpg" style="float:left; padding-right:10px; padding-bottom:10px; width:157px; height:157px;"/></a>Our Version of the Hymn &quot;Praise To The Lord, The Almighty!&quot;<br/>Praise to the Lord, the Almighty, the King of creation!